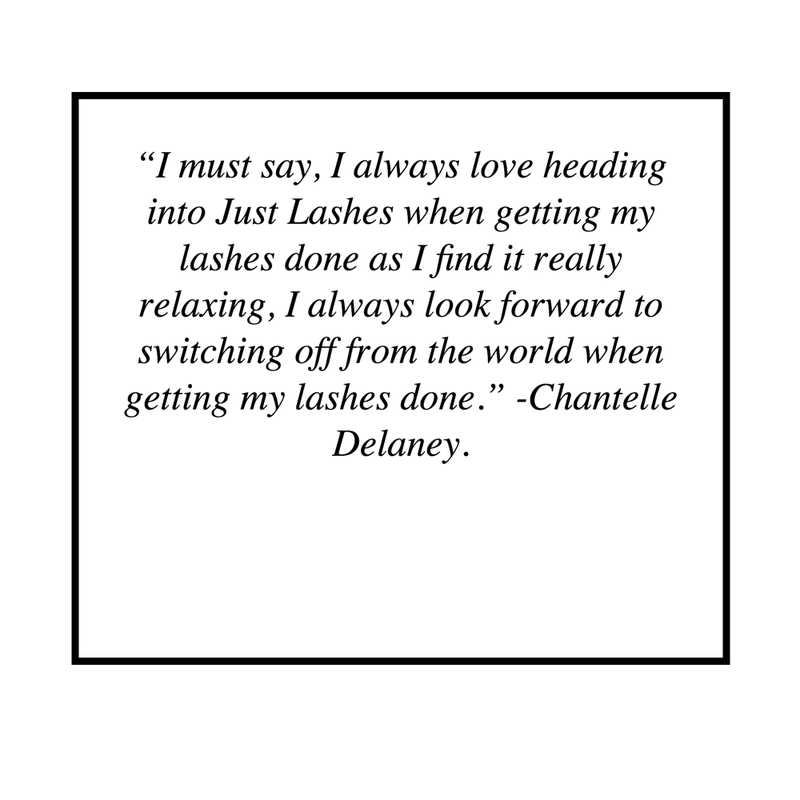 The Interviews: Chantelle Delaney x Just Lashes. International Singer/Songwriter/Guitarist, Chantelle Delaney has just been announced as the Brand Ambassador for Australian Beauty Brand, Just Lashes. Lash Extensions/Lash Lifts are this season's must-have beauty accessory, so I thought I would find out more & hear about the other beauty products Chantelle loves. Hi Chantelle, Firstly, Congratulations on your new role as the Brand Ambassador for Just Lashes. You've been the ambassador/face of companies like Myer, Victorian Racing Club & Glamsmile to name a few, You must be excited to add Just Lashes to this impressive list. What is it that you love about Just Lashes and Lashes? Hi Simon, thank you. 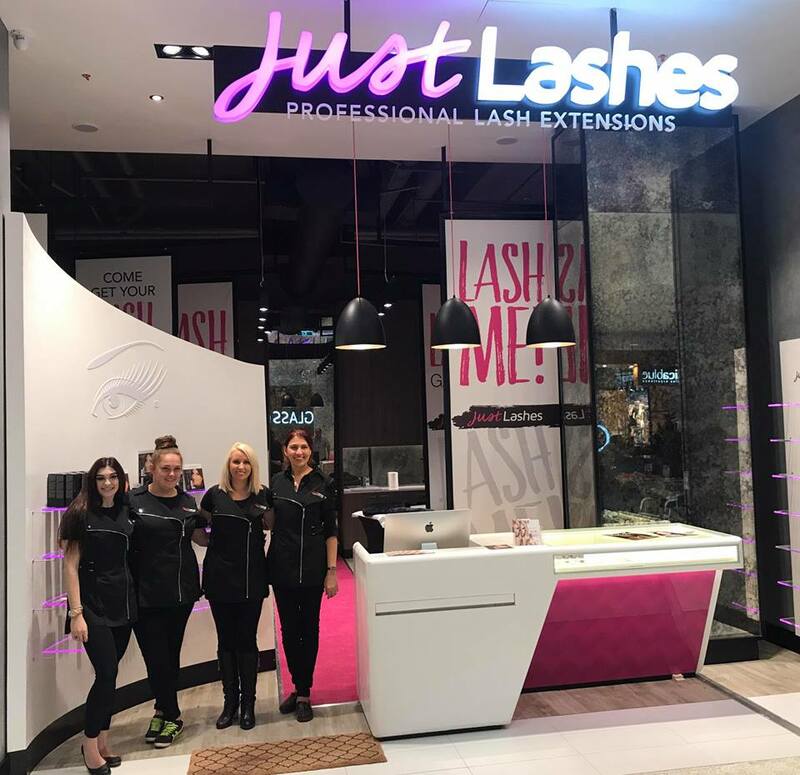 Yes, I'm very excited about my new role with Just Lashes and the fact that they have just opened a gorgeous new salon in Castle Towers Shopping center, Castle Hill. I've been a long time fan of Just Lashes & Lash Extensions, Lashes are really a lifestyle beauty enhancement! They create fullness and lengthen your natural lashes while creating the appearance of a brighter, more open, rested look which is perfect for me, a mum to a toddler who travels a lot for work. The Just Lashes team are all pretty amazing, so sweet, professional and so incredible at what they do. How long does a Lash extension treatment take? It depends on which set of lashes you're getting and for refills, how long it's been between refills. All the Just Lashes specialists are highly trained and are all trained the same way, but of course, different specialists can be a little faster than others. To give a guideline, I would allow one hour for a classic set and 30 minutes for a two-week refill. I must say, I always love heading into Just Lashes when getting my lashes done as I find it really relaxing, I always look forward to switching off from the world when getting my lashes done. How long do Lash Extensions last & will eyelash extensions damage my natural lashes? The look can be maintained indefinitely with regular lash fills. My lashes can get a good 4 weeks out of the extensions, but it depends on your shedding cycle and biological makeup. It's recommended to get refills done every 2 weeks. No, eyelash extensions won't damage your natural lashes. In fact, lash extensions are kinder to your natural lashes because you don’t need to curl them or apply mascara, which can dry out or even break your eyelashes. Just Lashes will teach you how to care for your new lashes when you attend your first appointment so you know exactly what to do. I'm obsessed with Aspect skincare, it's changed my skin and I love it. For my hair, I'm loving REF Hair Products, the dry shampoo is amazing and a must have for any busy lady! I love keeping my hair in good condition so I visit Blondes to Brunettes in Prahran, Melbourne, they do the best blonde! I also like to make sure I have regular treatments in at the Victorian Dermal Group. I've recently started the laser hair removal treatment at the Victorian Dermal Group and it's been such a time saver! I don't wear much makeup unless I'm on stage, but if I do wear makeup it's always a little BB cream as a base (with sunscreen), lip balm, and blush teamed with my luscious Just Lashes lashes! I see you've been touring a lot, all over the world. What's next for you & what’s in store for 2018? I sure have been traveling a lot, I love traveling and performing all over the world but I also love coming home and spending quality time with my son, Mason. Like any working Mum, it can be a little tricky at times juggling/balancing everything. I do feel very blessed to be doing what I love to do for a living though! 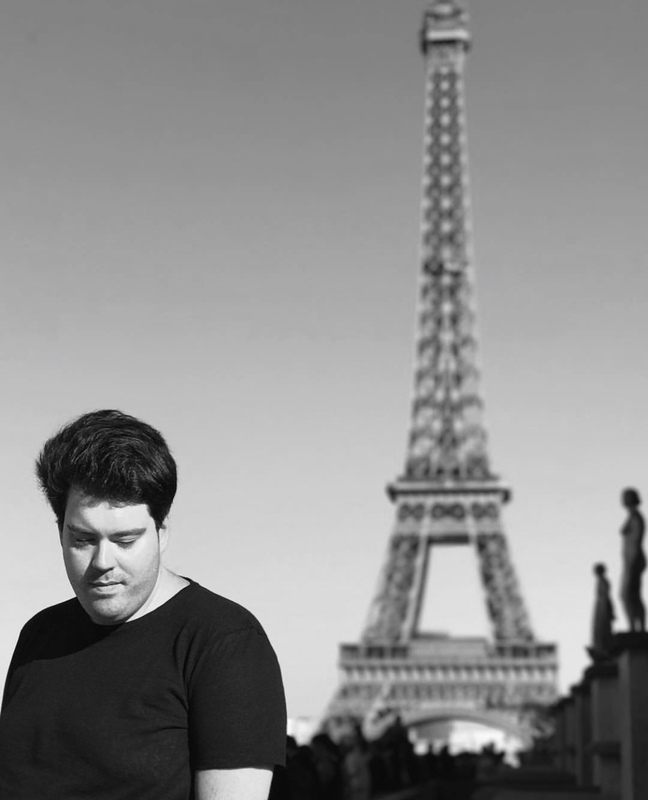 I’ve been in the studio collaborating with truly amazing, award-winning songwriters on my album. Not sure when it will be released but I am loving the material we are writing! The New Year will bring lots of traveling, gigs & recording. I’m also excited as quite a few new Just Lashes stores are opening in 2018, I can’t wait to be apart of that. I think 2018 is shaping up to be one of my best years yet. Click Here for your chance to claim a $25 Lash Card to any of the Just Lashes Salons. For more information on Just Lashes Click Here. *Images provided by Just Lashes and Chantelle Delaney. Thank you to Chantelle and the Just Lashes team for collaborating with me on this story.